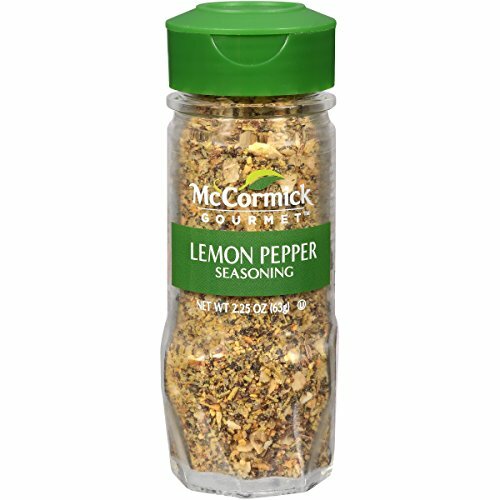 Reach for McCormick® Perfect Pinch® Lemon Pepper to craft zesty, peppery flavor in the kitchen or at the table. 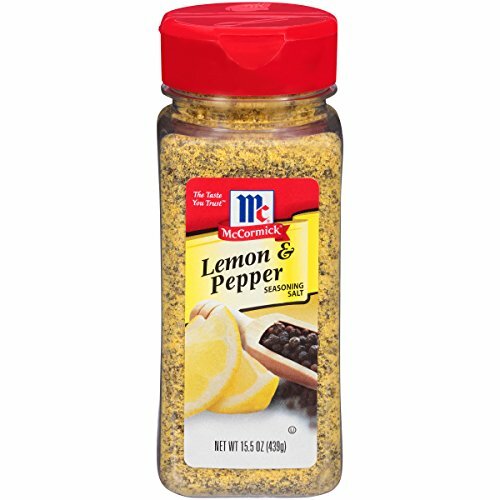 This pantry staple is a must-try on salmon, chicken, grilled vegetables and even salad greens. 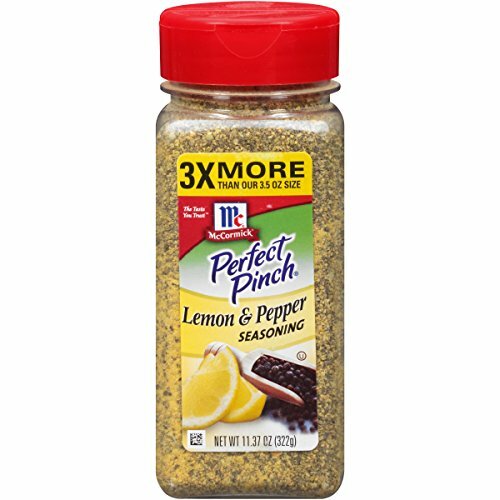 Feel good about feeding your family Lemon Pepper Seasoning. 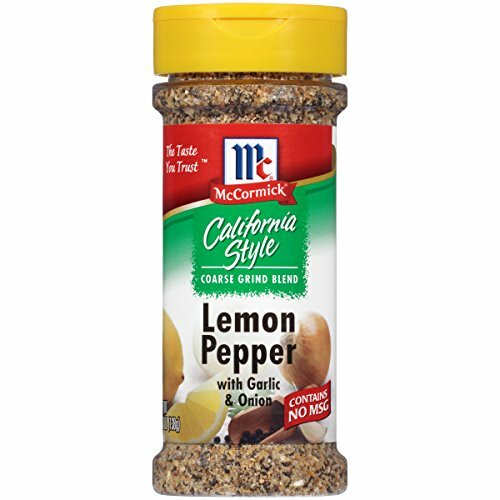 With no MSG added and no trans fats, it's flavor you can trust. 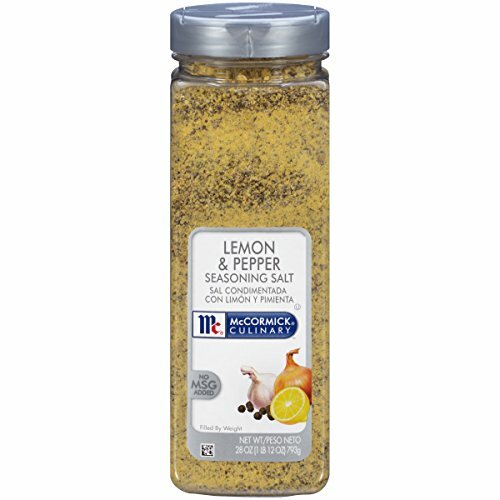 Add this delicious sauce with lemon and dill for great tasting seafood while grilling, baking and broiling. Now, Fat Free! 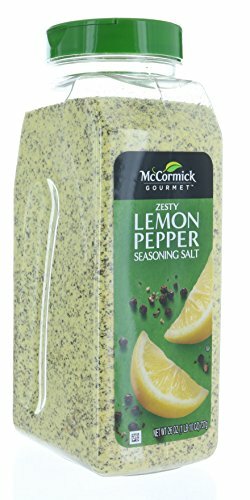 Best with salmon, tilapia, flounder, or cod, peeled shrimp or scallops. 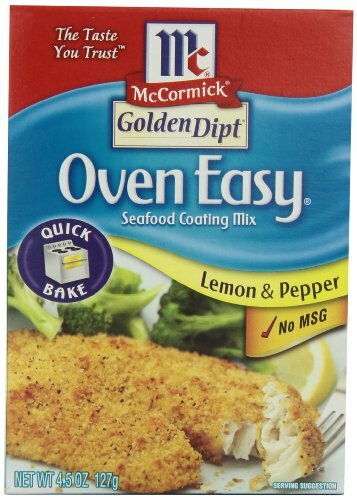 McCormick has specially designed this Oven Easy Lemon Pepper Seafood Coating Mix as an healthy alternative to deep frying but with the same great taste and texture as deep frying.